I have always considered myself to have a good grasp of contemporary Chinese history, and the 20th Century; particularly the years between the Boxer Rebellion through Mao's Long March; have always held a strange fascination for me. This was a period of struggle in which China sought to throw off the yoke of colonial control and establish a unified nation. This was also the time in which China became the largest Communist nation on earth. The years after the Communist takeover in 1949 have always been a sort of confusion for most in the West, with its attendant purges and political maneuvering. This is not to say that we are that much different. We did, after all, have our own McCarthy Era to contend with. It may not have been as brutal as the purges in China, but the whole concept of that episode was not all that much different in its aims. The ten years which spanned 1949-1959 saw many failures in China, both in industry and agriculture. The famine of 1960-1962 still stands as one of the most terrible periods in modern Chinese history, perhaps only eclipsed by the insanity of the Cultural Revolution which began in 1966, and would last almost 10 years. Both of these events would have far reaching consequences, influencing everything from the way buildings were constructed, to the way food was harvested and distributed. In a largely misguided effort to hold onto power, Mao Tse Tung pit one faction against the other, resulting in stagnation in every part of Chinese life. All of this added to the country's lack of preparation for the year of 1976, which would see changes, both great and tragic, in China. Just as we in the United States were finishing our Bicentennial celebration, marking 200 years of freedom, China was being tested by both nature and politics. The year began with the death of Premier Zhou Enlai, a leader more beloved than Chairman Mao. When the people attempt to publicly mourn his passing, they are beaten back by the Gang of Four. The tide of bereavement became a tsunami of anger sweltering beneath the surface. 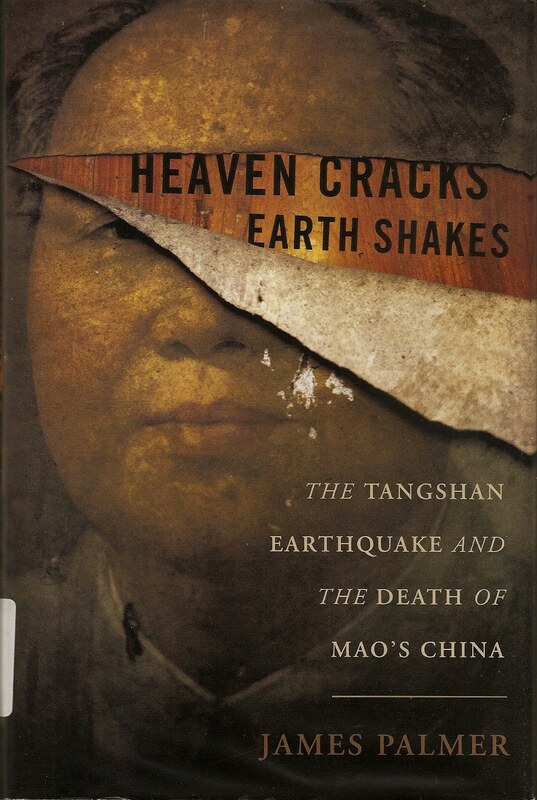 And that anger erupted in August, when a massive earthquake shook Tangshan Province, killing a half million people. In the aftermath, the chaos and lack of preparation of the Chinese government surfaced, exposing the differences between the elite and the poor, ordinary working Chinese people. The result was a loss of confidence in the ability of the government to take care of the people, and highlighted the need for change. This would come to mark the end of the Cultural Revolution. By the end of the year, Chairman Mao would be dead, and the infamous Gang of Four would be on trial for crimes against the state. These trials would expose a lavish life style among the leaders of what had once been a peasant’s revolution, changing China forever, and setting her on the path to becoming a world economic power. James Palmer has done a fine job in piecing together both the political history of China from 1949 through 1976; and an even better job at depicting the earthquake and the mass chaos that followed. Drawing on survivor memoirs as well as official government documents, he has managed to write a very reader friendly account of what has become known as China's "Unlucky Year." 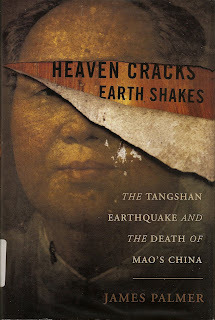 There is an old Chinese proverb which states, "When Heaven cracks, the Earth shakes." In this book, the author brilliantly puts across just what that means.